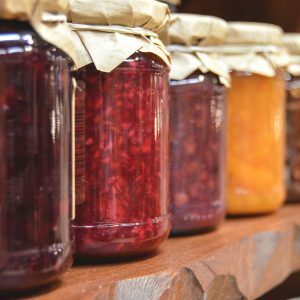 Local Makers can rent New Hampshire’s only specialty food production facility specializing in shelf stable products licensed by the State. The semi-automatic equipment at Genuine Local is designed to increase your productivity and efficiency, allowing you to make your unique products and get them to market faster and for less money. Genuine Local also offers business development services to help you achieve your goals. Some of the services offered include: label layout, nutrition panels, recipe scaling, pricing tier development, licensing and product approval assistance. So, who uses Genuine Local? Maybe it should be you! Whether a bumper crop of tomatoes was planned or a surprise, Genuine Local can help you turn the surplus into shelf-stable products that will extend your season, add items to a CSA or stock the store shelves. 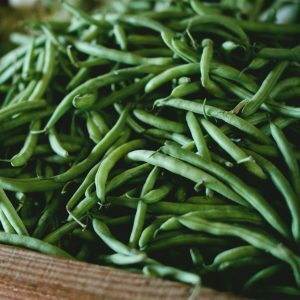 Genuine Local has a library of recipes for shelf-stable products using a wide variety of locally grown ingredients, that are also adaptable to reflect the bounty of the season. 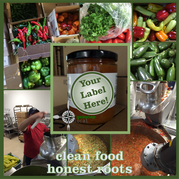 Whether you rent the production facility to make it yourself or have Genuine Local supply the labor, GL will work with you on personalized labels, packaging and sourcing additional ingredients. In 2017, GL helped over a dozen farms turn more than 12,000 pounds of locally grown fruits and vegetables into shelf stable products. With an average “best enjoyed by” date of two years, value added products are like money in the jar! Genuine Local recognizes that your time may be best spent selling and marketing your great product, rather than making each batch. That’s why Genuine Local offers custom manufacturing, featuring small batch production combined with all the same business development services provided to Local Makers and Value Added customers. The Genuine Local Community grows every day! 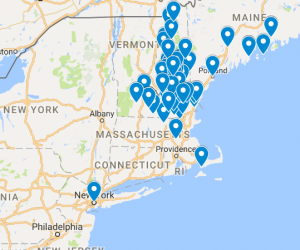 Each marker on this map is a Genuine Local customer. Some Local Makers travel over 2.5 hours – each way – to take advantage of what Genuine Local has to offer. As the saying goes, “time is money”. Working at Genuine Local is like having the ability to create more hours in the day. Efficiency goes up, costs come down and your bottom line improves – you have better margins on your products, you have more time to market, make sales and service your customers. At Genuine Local, we call that a win-win!